Trail King | Wheeler Machinery Co.
Wheeler Machinery Co. is the official Trail King dealer in Utah. 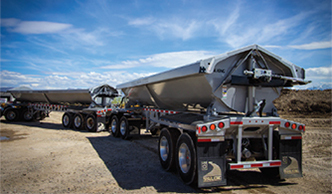 Trail King is the leading manufacturer of open deck and materials hauling trailers for the asphalt paving, construction, commercial hauling, agriculture and specialized transport industries. 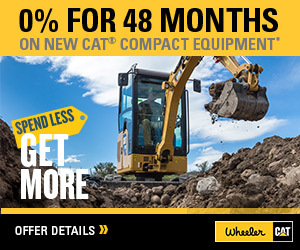 Shop With Confidence at Wheeler Machinery Co. Together, Wheeler Machinery Co. and Trail King offer comprehensive solutions for all your general hauling and specialized transport needs. As a Trail King dealer, we sell and service the company’s newest products, providing expert support from factory-trained technicians to keep your purchase on the road for longer. We’ll work with you to assess your needs and recommend the best trailer for the job. We can also provide financing, parts, accessories, preventative maintenance plans and more. 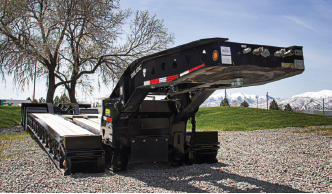 By focusing exclusively on trailers, Trail King has emerged as an industry leader. 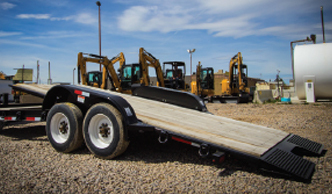 The company manufactures a diverse lineup of equipment with options for hauling loads from 12,000 to 1,000,000 pounds. 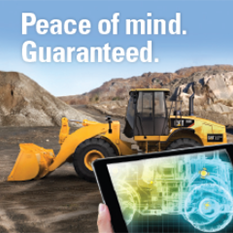 All of the company’s products can be counted on for reliable performance and engineering innovation. Trail King trailers are made in the USA and are built to last in some of the most demanding applications. To see for yourself the difference this commitment to quality makes, contact a Wheeler Machinery Co. representative and arrange a demonstration at one of our many Utah locations. Buying new equipment from an authorized Trail King dealer means peace of mind. When the success of your fleet depends on quality equipment, you can’t take a risk on reliability. 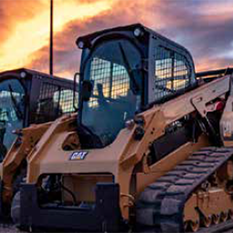 Spending extra on a new machine will position your operation for long-term success while giving you a critical asset that will command a strong resale value in the future. Read on to learn more about why the current-generation Trail King SSD trailer is the most advanced on the road today. THE TRAIL KING SSD … DESTINED TO BE THE BEST SIDE DUMP YOU’LL EVER OWN. Hydraulic Detachable Gooseneck: Engineered to make unhooking, loading/unloading, and hooking up again a simple one-person operation. Hydraulic Sliding Axle: The Advantage Plus Sliding Axle trailer features a low load angle, greater payload capacity and stability, more corrosion protection of critical components, and smoother, more precise operation. Tagalong: Outfitted with the highest quality materials for increased durability and capacity. Features standard equipment that provides stress-free, safe and efficient operation every time for peace of mind when you’re on the go. Tilt: Equipped to haul medium to heavy duty equipment with easy loading and unloading. Features a high-performing suspension system, strong steel main frame, and platform cushioning cylinders for smooth and secure travel over long distances and rough terrain. Bottom Dump: Lightweight, strong, rugged, with large hopper openings and nearly vertical hopper walls, these bottom dumps are engineered to stand up to the toughest loads. Which type of Trailking trailer would you like more information on?